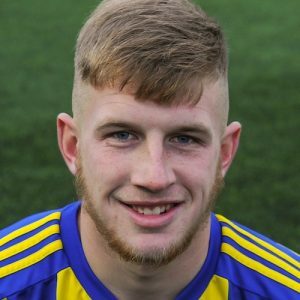 Liam Armstrong – first goal for Khalsa in his best showing yet. Comfortable, this certainly wasn’t. After steadily building a three goal lead against Paget – a league below Khalsa in the Midland Football League divisions but undoubtedly impressive – two late goals threatened an unlikely comeback which almost led to a penalty shootout. It was a much-changed Khalsa line-up that started the game at the home of Sutton Coldfield in the Walsall Senior Cup, regular keeper Sam Arnold, captain Tes Robinson or top scorers Lee Chilton and Dan Westwood all making way. But the fringe players took the opportunity to shine after the opening skirmishes and fast paced exchanges suggested an exciting encounter was in prospect. With Khalsa gradually getting a grip, Josh Thomas managed to unpick the Paget defence to carve out the first real opening on 21 minutes, setting up Vidal Hendrickson on the edge of the box whose shot was spooned over. Seven minutes later, Thomas took matters into his own hands, picking a through ball from Liam Armstrong – who enjoyed undoubtedly his best performance yet for Khalsa – and engineering himself a shooting opportunity which he tucked away in style past Conal Dowling. Ten minutes later and Thomas was the creator, feeding Jay Holdcroft only for the striker to shoot over the bar and with four minutes to the break, Rico Taylor produced a great slide-rule pass to Holdcroft only for Dowling to pull off a good block to keep the score one-nil. The second half started much the same as the first had, plenty of energy but few openings. Paget’s Ross Dempster had two good chances on 55 minutes, first taking advantage of a mix-up between Khalsa keeper Dale Reaney and Hendrickson he had a relatively routine task of rolling into a gaping goal, only to hit the side-netting. And two minutes later he turned well and did get a good shot on target, only to be denied by a fine low save by Reaney. Two minutes later, Dempster would be cursing his luck as, at the other end, Armstrong surged forward, looped the ball over his marked in Paul Gascoigne fashion and lashed a shot home to double Khalsa’s lead with his first goal for the club. On 65 minutes, Paget almost pulled one back, Dempster again in the thick of it and forcing a save from Reaney before the ball bounced back to Joshua McPherson whose venomous effort was charged down by Adam Osbourne. It all looked done and dusted on 69 minutes, Khalsa taking a three-goal lead as Luke Adams’ cross was headed home by Holdcroft. But just two minutes later Paget captain Craig Evans pulled one back, a great chip from 25 yards over Reaney making it 3-1 and giving a few jitters, especially when just minutes later Nathan Corry had a great opportunity to cut the deficit even further. With five minutes on the clock, Thomas should probably have put Khalsa out of reach, put clear by Armstrong but frustrated by a save by Dowling. Then, with three minutes on the clock, Paget pulled it back to 3-2 through substitute John Dodds, although it would prove too little too late, leaving Khalsa to breathe a huge sigh of relief on the way to the next round. Sporting Khalsa: Dale Reaney, Vidal Hendrickson, Adam Osbourne, Shawn Boothe, Leon Miles, Luke Adams, Josh Thomas (Garfield Robinson), Liam Armstrong, Dave Meese (Alex Perry), Rico Taylor (Connor Lawrence-Grimmitt), Jay Holdcroft. Subs not used: Carlo Franco, Mensah Kinch.